Technology Services provides computing and network services to students and faculty for their educational and research activities; supports the university's management information systems; manages the campus network; and provides telecommunication, collaboration and technical support services. These services are described in more detail below. 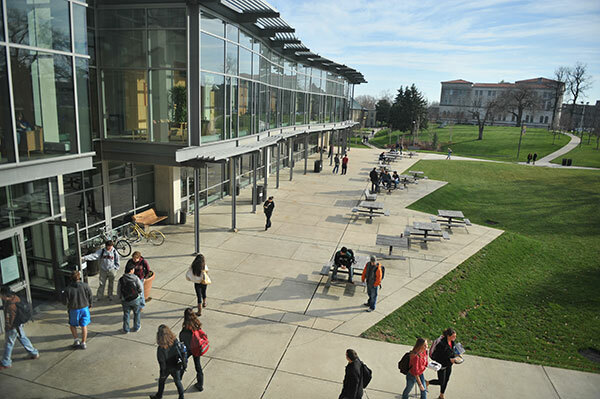 Technology Services provisions and supports computer and audio-visual equipment in Enrollment Services-managed campus classrooms. Technology Services works with Facilities and service providers to ensure that university data centers have adequate cooling, power, and protection from fire and water hazards. Technology Services provides limited instructional support and development for faculty, and advises and consults with faculty and researchers in the design, development and implementation of information technology services for teaching and research. The primary activity of the group is maintaining a current and stable Learning Management System for use by the faculty and staff. Technology Services configures and maintains all university network directory and identity management services, maintains domain security policies, and creates and maintains network user accounts. Technology Services monitors network directory services functions, and corrects problems as necessary. Technology Services installs and configures desktop computers, network printers and telephones for faculty and staff, and maintains the necessary software on these computers - office productivity suites, web browsers, and other utilities, including security software. Technology Services provisions university-owned notebook computers and other mobile devices for use on the campus network. Technology Services works with the designated vendor to provision and support assigned networked multifunction printer (copier) devices for departments. Technology Services works with the Procurement Services office on acquisition of technology products and services. Technology Services ensures that software it provisions is licensed, and that appropriate maintenance contracts or parts sparing are provided for equipment and software. Technology Services ensures that the network, television, telephone and other technology infrastructure in the residence halls is in working order and provides good performance. Technology Services configures residence hall technology with a focus on safety and ease of use. Technology Services upgrades and repairs residence hall technology equipment as needed, and coordinates with service providers and other vendors to resolve more serious problems. Technology Services collaborates in the creation of, and the procedures that support, the University’s information centric policies. The division has responsibility for monitoring the security of all information technology services and provides Incident Response leadership during an event. Technology Services specifies, installs and maintains central server, virtualization/cloud and storage systems. Technology Services configures computer operating systems, applies operating system patches and upgrades and monitors system functions and resources, correcting problems as necessary. Technology Services provides guidance to schools and academic departments needing to run servers and storage systems for instructional or research purposes. Technology Services installs and configures central server applications and related database software and middleware, including enterprise resource planning/business management, learning management, website, email and collaboration systems, applies patches and upgrades, and maintains strong application performance in a secure environment. Technology Services works closely with university divisions and offices to plan for and identify software system solutions, integrate them into university processes, and manage relationships with hosted/cloud software service providers. Technology Services monitors central software system functions, and corrects problems as necessary. Technology Services provides telephone and e-mail access to technology service desk services 24x7 and walk-in access 5x9. Technology Services performs necessary on-site provisioning of instructional and office hardware and software, and troubleshooting of technology it provisions. Outside of normal support hours, Technology Services responds to major outages typically affecting multiple campus buildings or university-wide production systems. Technology Services develops web applications, and provides technical support to the content team for the University website. Technology Services currently is aligned to deliver the services outlined above through three groups and the Office of the CIO. The sub-divisions and their areas of responsibility are as follows. Enterprise Applications – ERP and other administrative applications, learning management system, and database administration. Operations – Technology infrastructure (network, telephone, storage and compute), collaboration tools (email, calendaring, file sharing). User Services – Information security, communications, website technical development, service desk and field technicians for technology support, enrollment services classroom A/V.